Fans of Disney’s hit movie Moana have new reason to celebrate. A cappella outfit Voiceplay has just released a video of the group performing a medley of songs from the movie’s soundtrack via Yahoo! Music. The group was joined by Broadway star Rachel Potter (The Addams Family, Evita) for the performance. Voiceplay member Eli Jacobson discussed the new medley and its partnership with Potter for the video in a recent interview with Yahoo! Music’s Lyndsey Parker. He said during the interview that developing its take on the songs and bringing Potter on for the project was natural. Potter said she was just as excited to work with Voiceplay as the group was to work with her. Potter’s collaboration with Voiceplay on its new medley is not the first time that she has worked with the group. She also worked with the quintet on The Phantom of the Opera and Charlie Puth’s Attention. Voiceplay itself has already crafted a medley of popular Disney showtunes including numbers from The Little Mermaid, The Lion King and Aladdin as part of Disney’s celebration of its 20th anniversary on Broadway. Every year, dozens of albums get the re-issue treatment courtesy of record labels (and sometimes bands) that are either trying to fulfill contractual obligations or just trying to make a quick buck off of consumers gullible enough to blindly pick up copies of said albums. Sadly most of those albums are anything but worth the price. Though, there are some diamonds in the rough. The same applies in the realm of DVD and Blu-ray re-issues. Every year just as many DVDs and Blu-rays hit store shelves all over again. And just as with the noted albums, most are not worth the price. On the other hand there are some that surprise and show to actually be worth the purchase. This year is no different. Warner Home Video re-issued the classic Peanuts TV specials Bon Voyage, Charlie Brown (And Don’t Come Back) and Race For Your Life, Charlie Brown. Both are good specials. But considering the overall lack of bonus material (save for a bonus documentary included in the prior) neither are outstanding. Though, for real Peanuts fans that might not already own either one, they are both at least somewhat worth the purchase if not entirely. On the other end of the spectrum, Timeless Media Group (which is part of the Shout! Factory corporate family) re-issued Gerry Anderson’s classic Supermarionation series Thunderbirds both on DVD and Blu-ray. In comparison to the series’ previous release on DVD back in 2008, this one shines both in terms of its packaging and overall presentation. So it is definitely a great new re-issue. The same applies to CBS DVD’s re-issue of Gomer Pyle, U.S.M.C. : The Complete Series and MPI’s re-issue of My Favorite Martian: The Complete Series. These are just some of the re-issues that made the Phil’s Picks 2015 Top 10 New DVD/BD Re-Issues. They explain how this critic went about deciding on this list. Packaging was taken into effect along with pricing, bonus material, and the presentations’ production values. Also on this year’s list is Shout! Factory’s re-issue of The Brain That Wouldn’t Die, 20th Century Fox’s new BD re-issue of Garfield: The Movie, and Cohen Media Group’s re-issue of Alfred Hitchcock’s little known thriller Jamaica Inn among others. 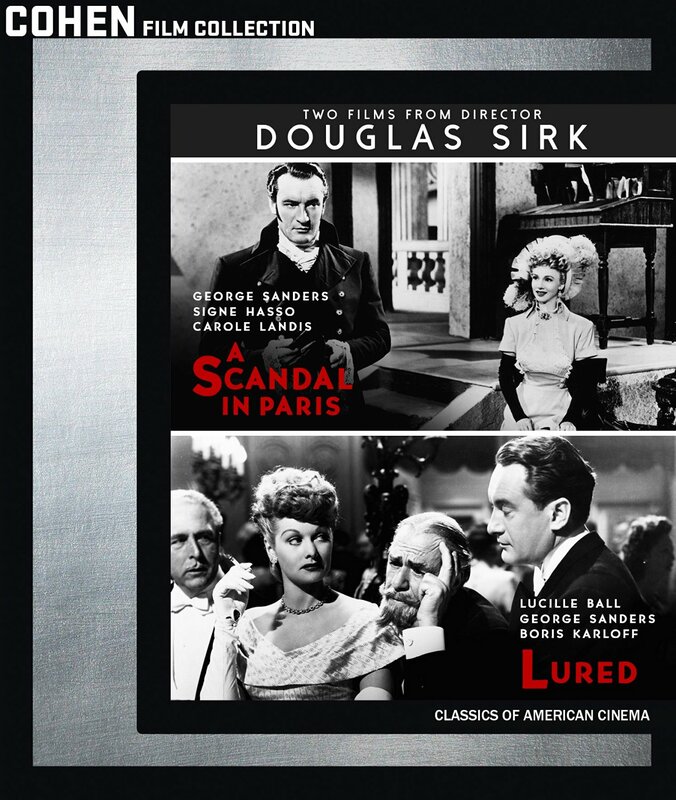 These titles and others are all on this year’s list of the year’s top new DVD and Blu-ray re-issues. As always the Top 10 titles make up the main body of the list while the bottom five were all worth mentioning for at least one reason. They each received honorable mention. So without any further ado I offer for your consideration dear readers the Phil’s Picks 2015 Top 10 New DVD and Blu-ray Re-Issues. 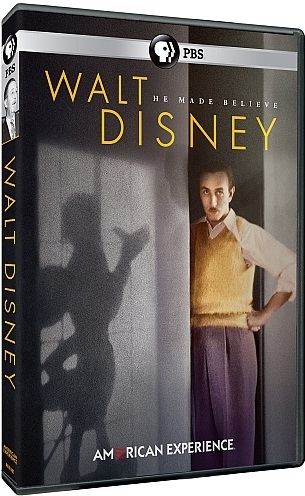 Walt Disney is one of the most well-known figures in the annals of Hollywood’s rich history. The man behind Disneyland and DisneyWorld, and what is now one of the most powerful media empires in the world, Wat Disney is profiled in the new PBS program American Experience: Walt Disney. Forget that song from Disney’s megahit movie Frozen. 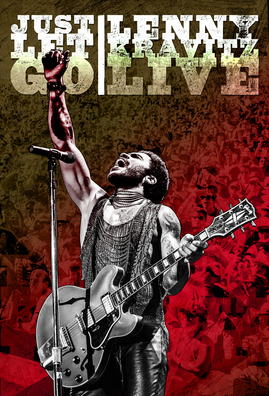 This fall, veteran rocker Lenny Kravitz will release his latest live recording Just Let Go. Just Let Go will be released Friday, October 23rd via Eagle Rock Entertainment. It will be released on DVD, Blu-ray, and digital formats. The twelve-song recording features a collection of performances was recorded throughout Fall of 2014 during the European leg of Kravitz’s world tour. The tour was in support of his latest full-length studio recording Strut. It was released September 23rd, 2014 via Roxie Records/Kobalt Label Services. Just Let Go includes some of his biggest hits and some lesser known pieces including: ‘Fly Away,’ ‘Are You Gonna Go My Way,’ ‘It Ain’t Over ‘Til It’s Over,’ ‘Let Love Rule,’ and his cover of The Guess Who’s hit song ‘American Woman’ among others. The complete song listing for the recording is noted below. Walt Disney Studios’ recently released full length picture Saving Mr. Banks is not the worst movie that the studio has ever released. It is also, hardly the best movie that WDS has ever released. 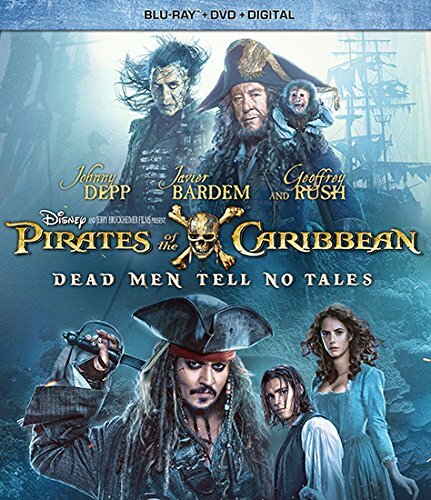 The story presented in this movie is little more than another period piece that can be tossed into the ever-growing pile of movies that are “based on actual events” and forgotten over time. It tries to make up for this by throwing in an attempt at a serious story about Travers’ attempt to reconcile her past and present that ultimately falls flat. That is thanks in large part to the glut of flashbacks and the unevenness of those transitions between the flashbacks. For all of the negatives that weigh down the story, there is at least one positive to the whole presentation. That bright shining light is the acting on the part of the movie’s largely A-List cast. Other than that sole beacon, it’s difficult to ultimately say that there is anything that truly “saves” Saving Mr. Banks. Saving Mr. Banks is anything but one of the best movies that Walt Disney Studios has ever released. There is very little that one can argue actually “saves” this period piece. That’s because ultimately, it’s just one more movie that is “based on actual events.” Co-writers Kelly Marcel and Sue Smith seemed to have gotten down Travers’ persona. And veteran actress Emma Thompson brought Travers even more to life with her expert depiction of the famed author. However, one cannot deny the fact that Disney likely took a certain amount of liberties with the story of how Travers’ beloved book Mary Poppins came to life. That is just the way of movies that are “based on actual events.” Marcel and Smith had to have known that there are those—like this critic—that would know this, too. So their answer to that was to throw in a personal drama story on the part of Travers that sees her trying to reconcile her troubled childhood as she worked with Walt Disney and his people on their adaptation of her book. It’s a bit much. Add in the glut of flashbacks and the unevenness of said flashbacks, and audiences get what is one more loose brick in this movie. The attempt on the part of Marcel and Smith to craft a dual-pronged story in Saving Mr. Banks is a major part of the movie’s downfall. It isn’t the end of the movie’s problems, either. The glut of flashbacks that Marcel and Smith toss into the story and their unevenness hurts the script even more. One doesn’t even fully realize that the pair is using flashbacks as part of the story until after about the fifth time that the transition happens. The primary reason for this is that there is little to indicate the separation of the scenes. The story constantly jumps from Travers’ present day life to her childhood growing up in Australia. And because there is no clear indicator of the jump back and forth in time, audiences are left scratching their heads at who the little girl is until again, after about the fifth or sixth time that the transition happens. There is perhaps one clear transition that finally makes it clear for audiences that they are looking into what is supposed to be Travers’ childhood. While Marcel and Smith do finally make it clear what audiences are seeing in the scene transitions, things don’t get much better. That’s because it actually starts to feel like the flashbacks in question tend to happen at an increasing pace. Even in that increased frequency of flashbacks, the transitions between past and present are still not entirely clear. They just seem to happen at random points without any clear separation. It only serves to hurt the movie even more. Thankfully for all of the problems with Saving Mr. Banks, it does have one saving grace. That saving grace is the acting on the part of the movie’s largely A-List cast. 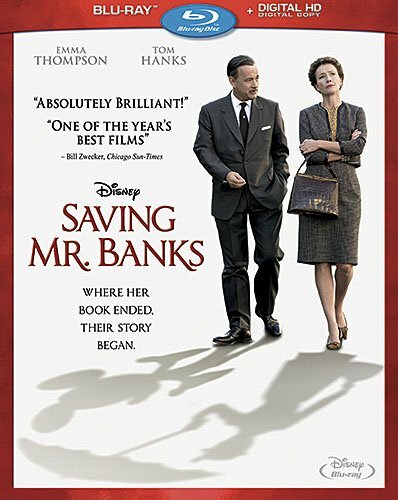 If not for the acting on the part of Saving Mr. Banks’ cast, this movie would possibly be classified as one of the least of Disney’s movies in recent years. That being the case, Casting Director Ronna Kress deserves a standing ovation. Kress pulled in some of the biggest names in Hollywood for this movie. Actress Emma Thompson (Stranger Than Fiction, Nanny McPhee, Nanny McPhee Returns) was an obvious choice considering her time in the role of another literary nanny named Nanny McPhee. McPhee’s character was based on the literary Nurse Matilda. Nurse Matilda’s books came years after Mary Poppins was published. But her stories are arguably far more enjoyable than that of Mary Poppins or even this semi-historical look at how the book was adapted to the big screen. Ironically enough, Thompson’s depiction of author P.L. Travers was just as spot on as that of Nanny McPhee. One can’t help but laugh at the obvious cultural differences between herself and her American hosts. And while he is in a supporting role in this movie, fellow veteran actor Paul Giamatti (The Illusionist, The Amazing Spiderman 2, Duets) is incredible as Travers’ personal driver Ralph. Ralph’s innocence makes him such a lovable character. Jason Scwartzman (Moonrise Kingdom, The Darjeerling Limited, Rushmore) and B.J. Novak (The Amazing Spiderman 2, Inglourious Basterds, The Smurfs 2) are just as entertaining as the famed Sherman Brothers. Anyone that knows the history of Walt Disney Studios knows that the Sherman Brothers are responsible for some of the greatest musical numbers to ever grace the big screen in Disney’s golden age. And their drive to get the songs right despite Travers’ constant refusal makes them such sympathetic characters. Not once did they ever get mad at her for her stubbornness. And their playful nature in playing their songs makes them even more lovable. Tom Hanks can’t be ignored here either, as the one and only Walt Disney. Those in the makeup department got the look of Walt Disney pretty close with Hanks. And one must agree that he expertly channels Disney, too. He worked so hard to get the part down that he even tried to get down Walt Disney’s accent for the role. It’s subtle. But it’s there. And it makes his depiction all the more enjoyable to watch. It’s one more piece of the whole of this movie that makes Saving Mr. Banks at least somewhat bearable. The acting on the part of Saving Mr. Banks’ cast is the one shining light that makes this movie bearable. The sad reality of this movie is that despite the entertaining portrayals on the part of the cast, there is little to nothing else positive that can be noted of the film. The transitions between Travers’ childhood and adult life are far too many and nowhere near clear enough. And the dual-pronged story crafted by co-writers Kelly Marcel and Sue Smith ultimately combines with those scene transition issues to make Saving Mr. Banks anything but memorable. Sadly these issues together prove that other than the cast’s acting, there is little to anything else that “saves” Saving Mr. Banks.